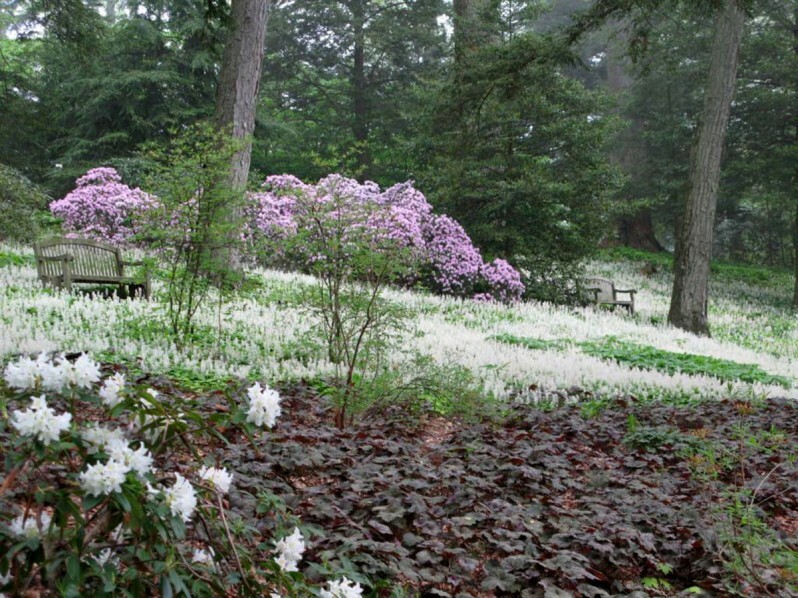 Longwood calls Peirce’s Woods an “art-form garden” of plants native to southeastern Pennsylvania. 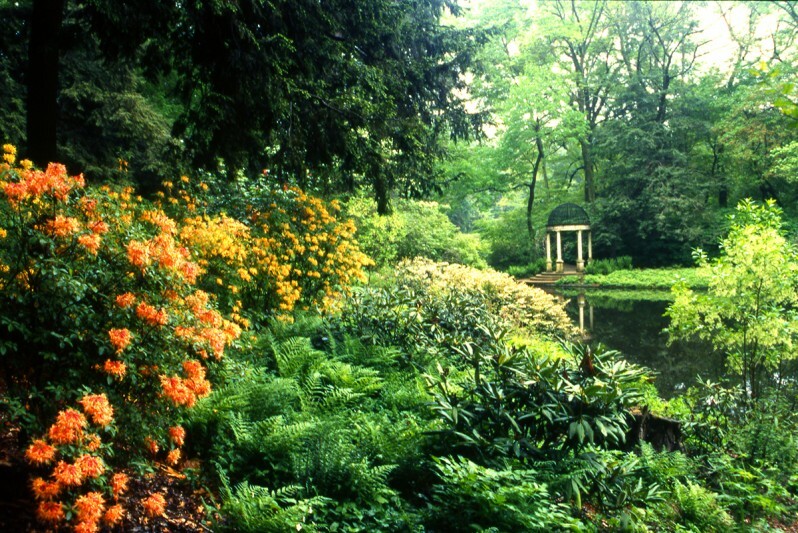 While the garden is managed with ecologically sustainable tools and techniques, the design is more a work of garden art than woodland restoration. 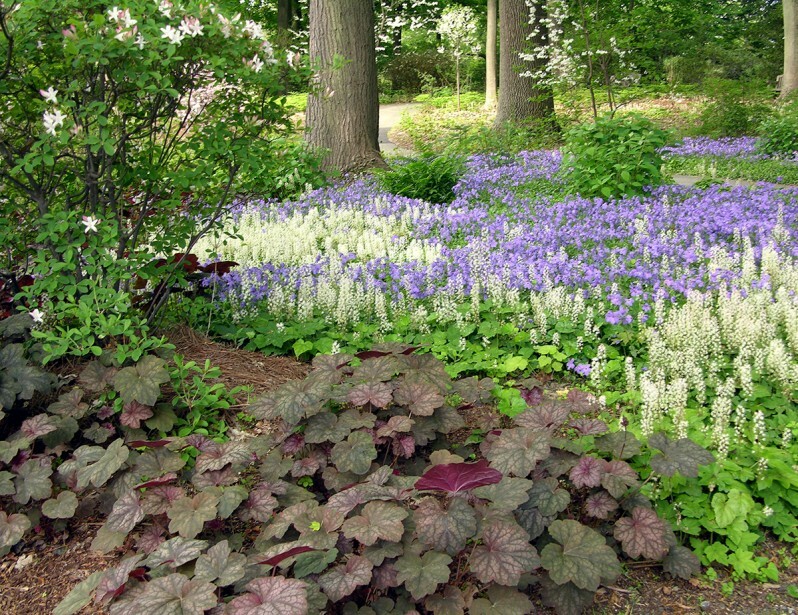 The planting design emphasizes showy natives in big sweeps, including naturally occurring varieties of natives such as Allegheny foamflower (Tiarella cordifolia var. collina) and horticultural cultivars such as Heuchera ‘Montrose Ruby’. 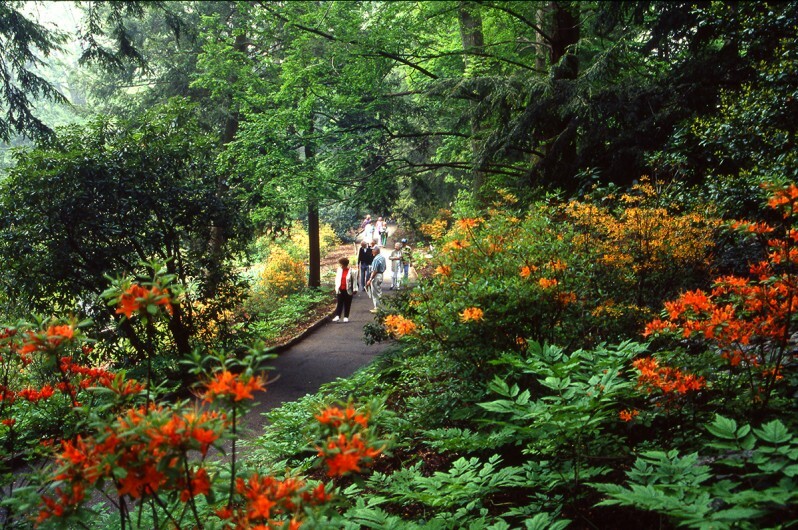 A long pathway moves through fragrant masses of Florida flame azalea (Rhododendron austrinum), arranged in a progression from yellow to deep orange. The view of the Love Temple across the lake from Peirce’s Woods. 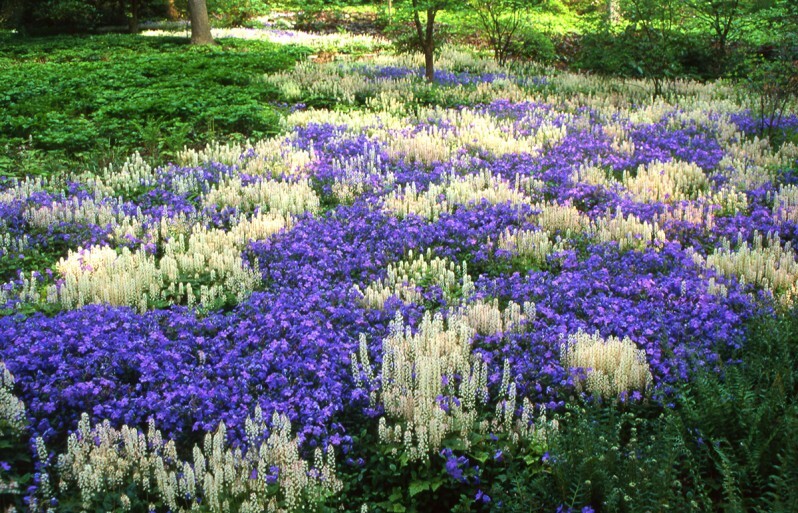 At the center of Peirce’s Woods, Allegheny foamflower (Tiarella cordifolia) and blue Phlox stolonifera ‘Sherwood Purple’ form a dramatic mosaic. Heuchera ‘Montrose Ruby’ and coastal azalea (Rhododendron atlanticum) compliment the tiarella and phlox. Thousands of Allegheny foamflower spill down a wooded slope. 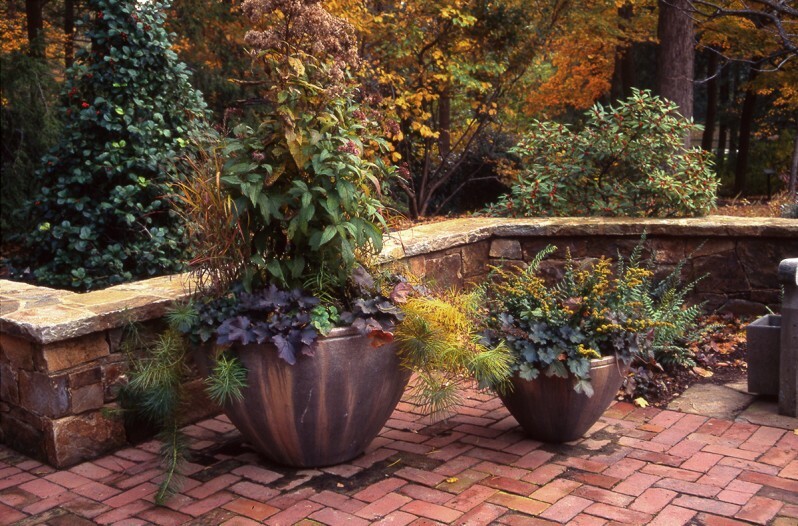 The entrance plaza provides an opportunity to display native plants in containers. 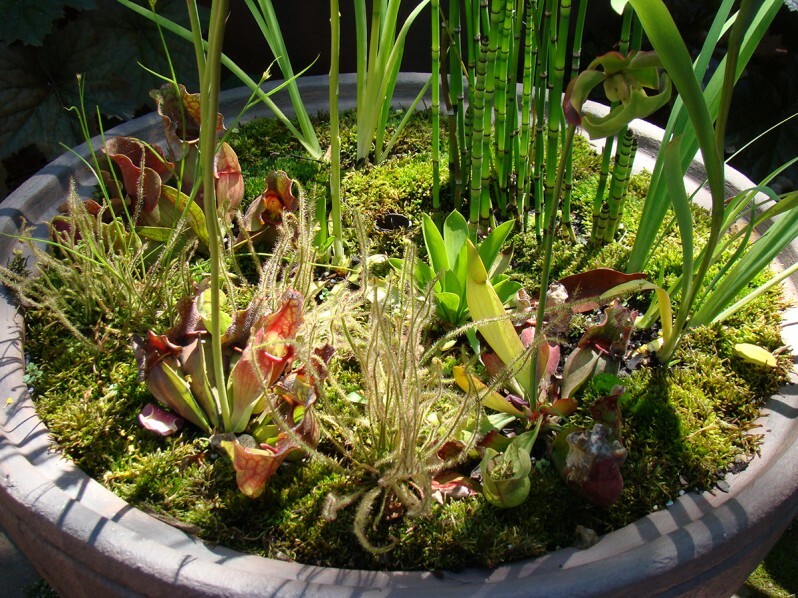 A bog garden in a container. Different moisture-loving ground covers were tested in this dense grove of pond cypress (Taxodium distychum ‘Prairie Sentinel’). 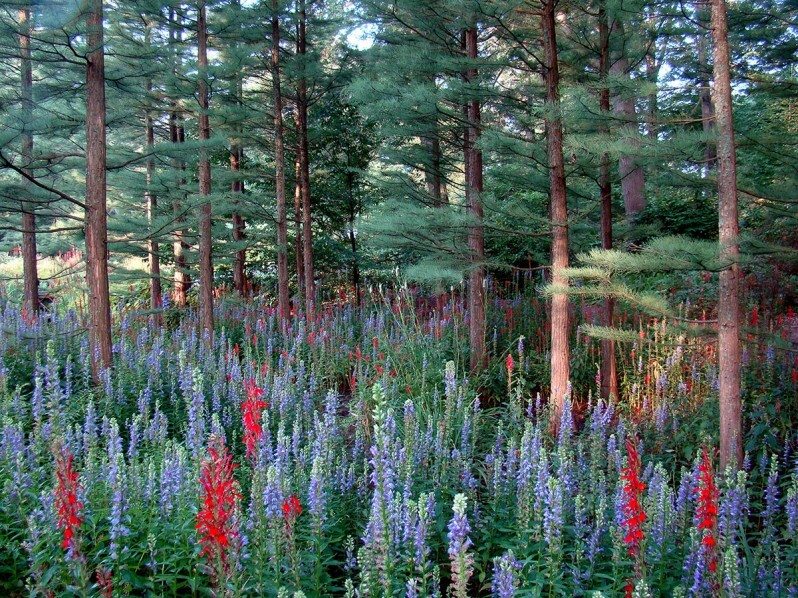 Eventually cardinal flower (Lobelia cardinalis) and blue lobelia (L. syphilitica) became dominant. 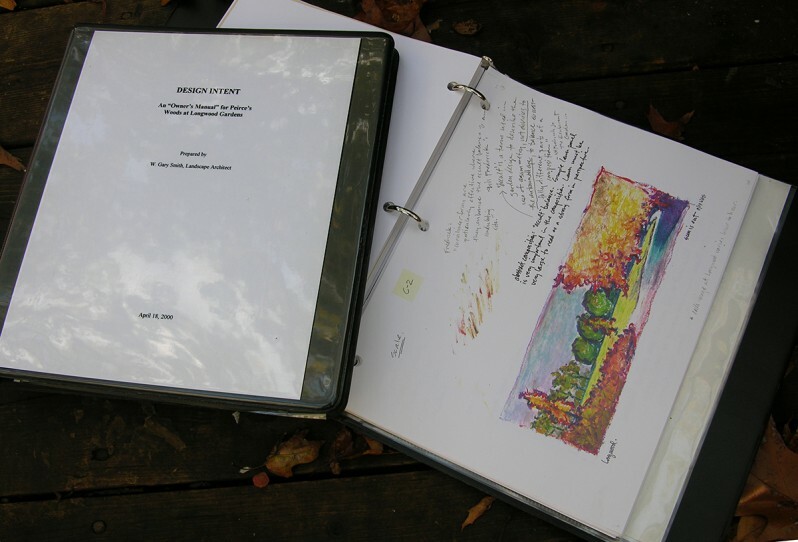 The Design Intent Manual includes design principles, plant lists, and planting plans. It has been regularly updated through more than 20 years of the garden’s evolution. These small oil pastels were part of the site analysis phase in the design process. 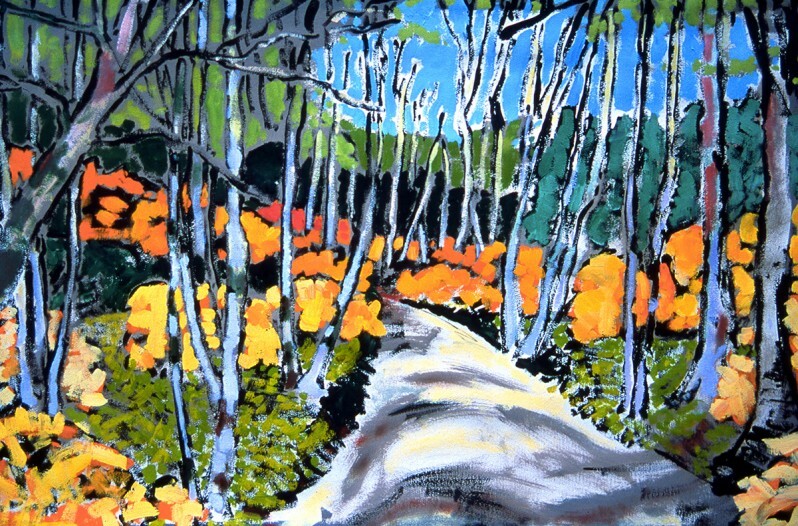 This painting illustrates the design concept of Florida flame azaleas drifted among the silvery vertical trunks of native American hornbeams.